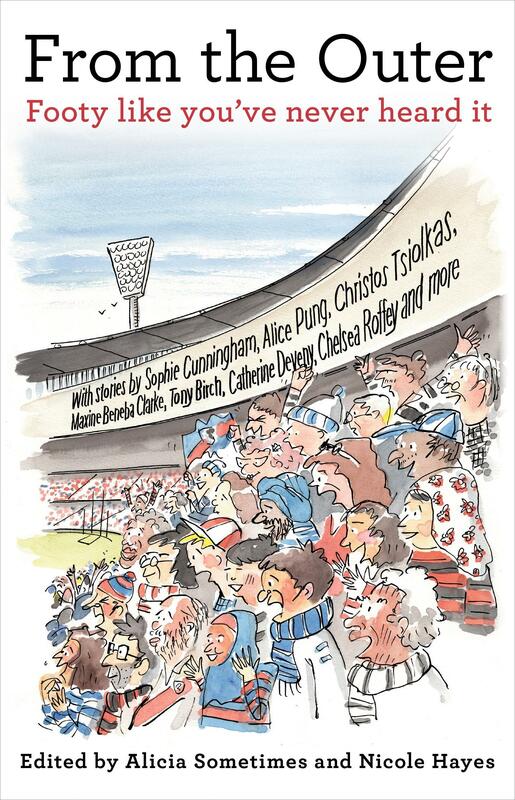 Immersion in AFL/VFL and following a club is a big deal in Melbourne, and the importance of this is articulated repeatedly in this collection. Jason Tuazon-McCheyne’s explains his pursuit of LGBTIQ acceptance through Essendon’s Purple Bombers supporter group. Stan Grant’s expression of grief and anger over the ‘crescendo of boos’ that followed Adam Goodes is a profound rebuttal to those who chose to pretend that race played no part in an affair that was entirely about race. Alicia Sometimes’ stream of consciousness riff on Hawthorn’s path to the only grand final ever held at Waverly is a stunning piece of contemporary history writing, a few pages that had me reliving that year and that time with pulse-quickening clarity. There are too many contributions to cover in such a short review, but they are all worth it. For anyone who has ever played the game, risen with the crowd to be one with thousands, played kick-to-kick on the ground after the final siren, or simply wanted to be part of it all and to belong, you’ll understand. From the Outer offers personal perspectives on this, but for better or worse, footy binds us, and these are all of our stories. Robbie Egan is the operations manager for Readings.